It wasn't the summer that Tom Forster had envisioned early last year when he'd planned to spend time knee-deep in fresh water with fishing rod in hand. "I wasn't thinking that I'd be traveling this much for work," he said at the U.S. Gymnastics Championships in Boston. "I like to fly fish. I was thinking I was going to be doing a lot more of that." That was before Forster was named the women's high-performance team coordinator at the end of June and was charged with overseeing the selection and preparation of the squad for the October World Championships in Doha, Qatar, the first global team competition since the Rio Olympics in 2016. His new position is in addition to his duties with Colorado Aerials, the club that Forster co-founded with his wife Lori three dozen years ago. "That's not going away because it's our family business," he said. "This (high-performance team coordinator) is not a full-time job that you quit your other job. It is full-time but it's like taking on another job." 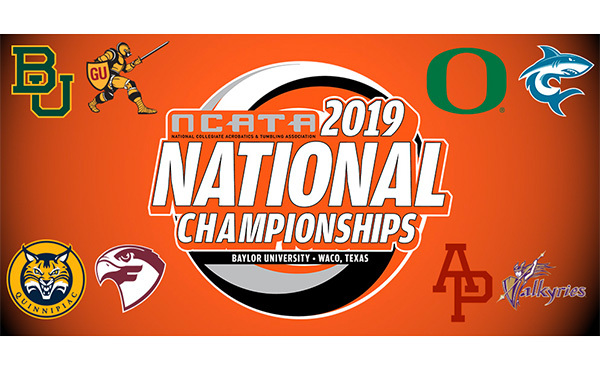 Nobody had to remind Forster about the unprecedented American dominance during the previous 15 years, which included back-to-back Olympic team titles and four consecutive all-around gold medals as well as five team, eight all-around and 17 event crowns at the World Championships. "These athletes and coaches have worked so hard to be the best team in the world at the last two Olympics and multiple World Championships. That has a lot of pressure," Forster acknowledged. "We don't want to let the country down." With Rio superstar Simone Biles leading the way with three individual gold medals, her teammates dominated the Doha Worlds, winning the team title over Russia by the largest margin (8.766 points) in global history. 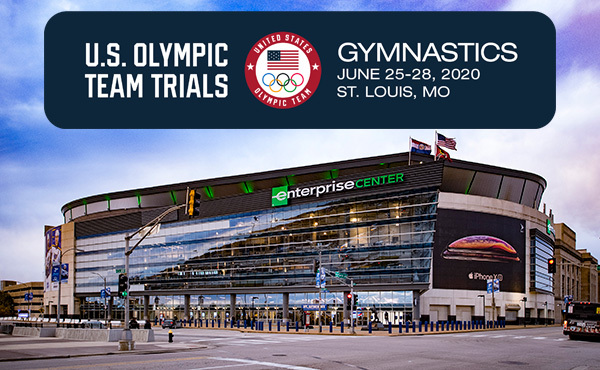 Their victory also earned the Americans an automatic spot for the 2020 Olympic Games in Tokyo and provided Forster and his staff with the luxury of using a variety of gymnasts in this year's international competitions. 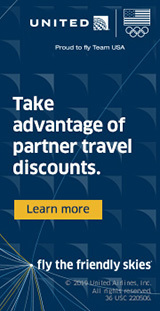 "Because we've already qualified as a country, if some of our key athletes need a longer break from competition to work on upgrades to skills or routines, or have soreness or an injury that they need to take care of, we are in a position to allow them to do that, which is really nice," Forster observed. "It's great for the athletes to not feel the pressure of having to perform if they aren't ready, so that part is going to be a tremendous factor for us going forward. It also allows us to give other athletes international experience, so in case they are in the mix in 2020, they would not face the Olympics as their first really big competition." 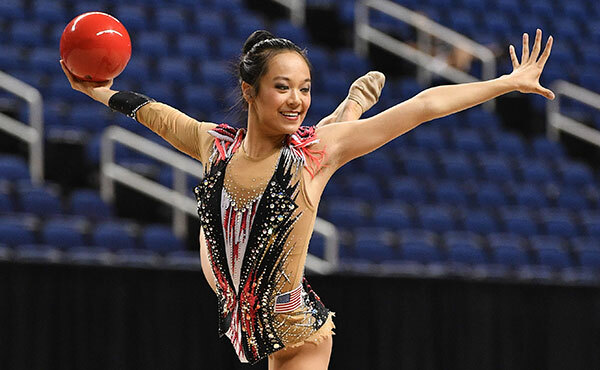 For the American Cup in Greensboro, N.C., in March, the two U.S. entrants are Grace McCallum, the second-youngest member of the 2018 World squad, and Leanne Wong, a promising prospect just up from the juniors. 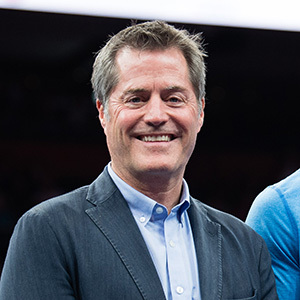 The depth of the talent pool, Forster said, "helps alleviate the pressure of always going to the same athletes all the time and having them compete for us over and over again when sometimes it'd be best for them to stay home and rest or work on a new skill." 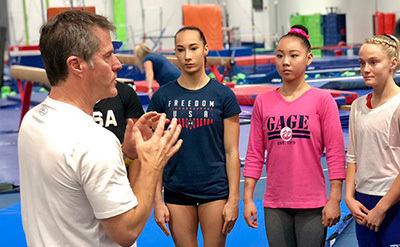 While Forster is determined to uphold the program's standard of excellence, he also must balance continuity with a changing culture that makes gymnasts' well-being paramount. "The culture part to me is symbiotic with us trying to win in the right way," he said. "I've read through all of our manuals and there isn't anything that demands we win medals. We have to put the best team out on the floor. That's our job, and we're going to do it in the best possible way so our athletes have a positive experience doing it." 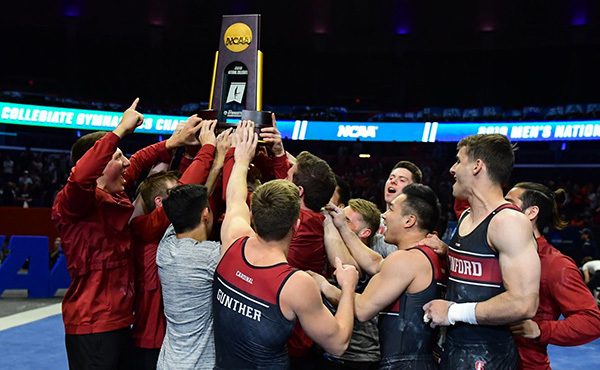 Communication and candor are central to Forster’s approach so “the athletes feel they can voice concerns or complaints they might have with whatever situation without fear of retaliation," said Forster. Forster has the advantage of having dealt with virtually everyone in the pipeline as the former elite development coordinator and staff member. "Ninety percent of these girls I've worked with when they weren't on the national team yet, when they were developing and learning new techniques," he said. "So I at least have a relationship with them. The benefit of that is that they feel comfortable with (me as) the coordinator." Forster, whose style is friendly and familiar, is used to roaming the floor and chatting with athletes in the middle of training. That hasn't changed. "It's how I am," he said. "I've heard that they like it. I never envisioned being in this role, so I never thought about sitting at a table and just watching." The up-close approach may be novel at the elite level, but the gymnasts like having Forster nearby to offer advice and encouragement. "It shows how much he cares about us," said Morgan Hurd, the 2017 World all-around champion. "For us athletes, it's calming because we can get inside of his thoughts more and not worry, 'Oh, man, we messed up.’"
Forster, whose Colorado Springs club has produced several members of U.S. World teams in the past, sees no need to add to the strain of making a national squad. "There's always going to be stress because they're trying to become the best athletes in the world," he said. "It's like telling NFL players, 'Oh, just relax. Don't worry about it. Yeah, you dropped that pass. I'm sure no one noticed.' Of course, they noticed. They watch everything and that dropped pass may have meant $150,000. But for these athletes, it's about their dreams, their goals. They have the same exact commitment to their sport that LeBron James has to his. They're just as athletic, they work just as hard. They're in an environment where that's enough anxiety. They don't need any other anxiety on top of that. And that's my job." Forster's approach, which Biles described as “very encouraging, very welcoming,” is noticeably understated. "The interactions I've had with him are absolutely great," said Hurd. "At Classics after I fell, he came up to me and said, 'It's okay because now is not your peak time anyway.' And that was the exact mindset I had." The intensive training camps that have been the foundation of American success are continuing under Forster's supervision. "That's probably the most important part, for them to be able to get together more frequently like they were used to," he said. "It's easier to create a team feeling, a lot of camaraderie. It's a special group they belong to and it's a big challenge for them to stay competitive at the world level. Typically, others in their gymnastics clubs are not doing that, so to come together consistently helps them psychologically and to maintain their friendships." 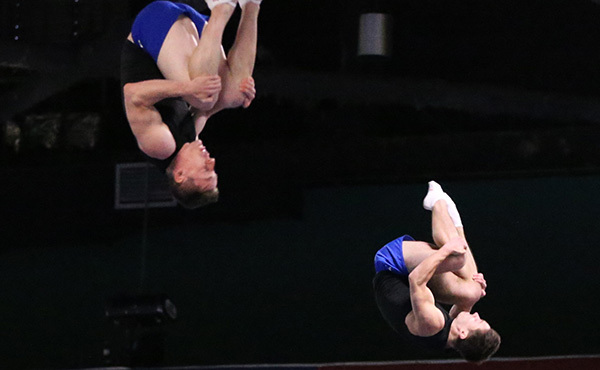 Last year's selection camp for the World Team was notable both for its change in venue and judging. 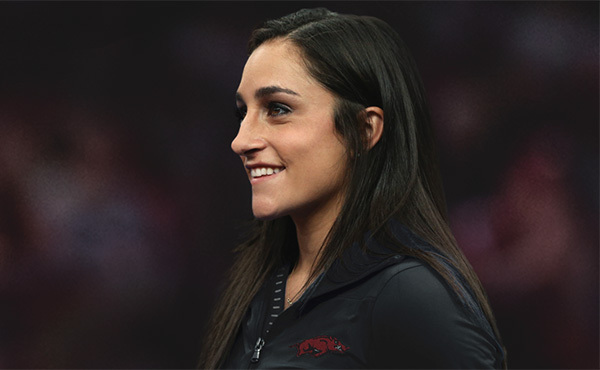 The gymnasts convened at a Florida gym and lived and dined at a nearby hotel. And their competitive sessions featured immediate and open scoring with coaches permitted to file inquiries. "The process went smoothly, so I think we're going to continue to do that," Forster said. "The athletes feel comfortable with it and the coaches do, too. It's important that they feel that it's completely fair. That's the goal, so that's what we're doing." More than midway along the road to Tokyo, the U.S. women are on track to uphold the standard established by their predecessors, going about their preparations amid decidedly unsettled times. "There were a lot of distractions for everybody last year," Forster said. "It was a tough year. There was a lot of change, but it didn't change what the athletes do in their gyms day after day after day. And that's why we're successful."